Robert Heath, a wireless expert at the University of Texas at Austin, says the NYU group’s work adds another dimension to 5G development. “I think it’s valuable in the sense that a lot of people in 5G are not thinking about the extended ranges in rural areas, they’re thinking that range is, incorrectly, limited at high carrier frequencies,” Heath says. 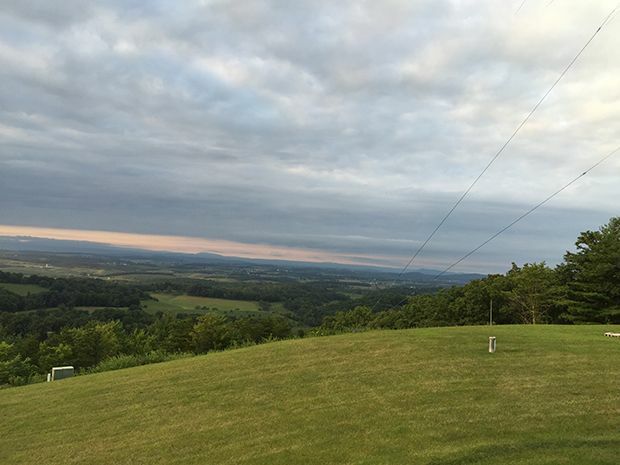 The view from the front porch of Ted Rappaport’s home in Riner, Virginia. 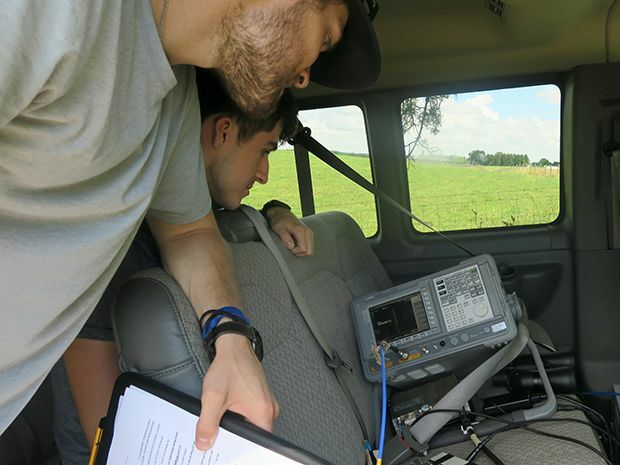 George R. MacCartney Jr., a fourth-year Ph.D student in wireless engineering at NYU, thinks millimeter waves could perhaps be used to serve rural cellular networks in five or 10 years, once the technology has matured. One challenge is that future antennas must aim a signal with some precision to make sure it arrives at the user. That’s because millimeter waves reflect off of objects, and can take multiple paths from transmitter to receiver. But as for millimeter waves making their rural cellular debut in the next few years—“I’d say I’m a little skeptical just because you’d have to have a lot of small antenna elements and you’d have to do a lot of beamforming and beam steering,” he says. In October, Rappaport presented the group’s work at the Association of Computing Machinery’s MobiCom conference and their latest study will be published in the proceedings. In the meantime, it is posted to arXiv. This entry was posted on April 3, 2019, 12:54 am and is filed under 5G, Millimeter Wave, testbed, United States. You can follow any responses to this entry through RSS 2.0. You can leave a response, or trackback from your own site.